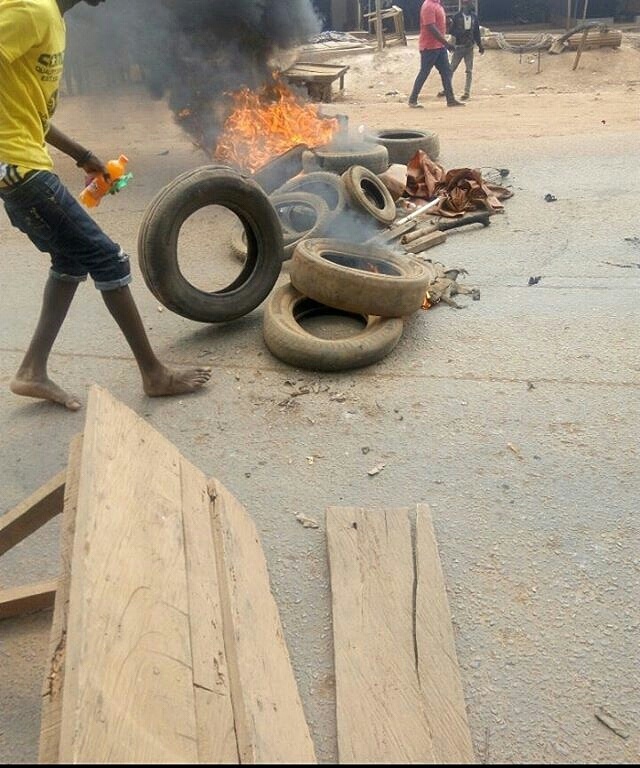 Home / News / EFIWE NEWS: UNIOSUN Protest Continues As Another Student Is Reported Dead. EFIWE NEWS: UNIOSUN Protest Continues As Another Student Is Reported Dead. A 19years old 100level Anatomy student of UNIOSUN, Osogbo main campus was reported dead after being diagnosed at the Oke-Baale hospital to have been running a low blood level of 6% and the Hospital was said to have delayed treatment requesting that a sum of #10,000 must be paid into their account before treatment can proceed which later lead to the death of the girl. According to our correspondent, the deceased was said to be a SS genotype who is always on medication. The student continues there protest by blocking the Oke-Baale highway burning tyres and demonstrating their grieves pertaining to the issue occurring in Osogbo Main campus of UNIOSUN.